Winter can be harsh on your skin, even if you live in a milder climate. Wind, cold and lower humidity can wreak havoc on hair, nails and especially skin. But you can protect yourself from these foes, you just have to know how to fight them. When winter shows up on your doorstep, you’ll notice changes that are minor at first. Maybe your lips get a little chapped, or maybe your arms or legs get a little dry and itchy. But did you realize that everything about you changes? Your hair is probably a little drier, and your nails might chip or crack more easily. All of these changes come from a combination of reasons: cold and wind, lower humidity, and being exposed to heaters which dry out the air and your skin. You would think that here in the South, Winter wouldn’t play a big role in damaging my skin. But even I have the Winter skin blues. I started to notice the last 2 weeks that my hair seemed more dry and my nails have been very brittle. But the biggest problem is showing up on my face. I have eczema, but I haven’t had an issue with it the last few months since I’ve perfected my skincare regimen. No…this issue is much different than the spotty dryness and redness seen with eczema, this is an all over problem. My whole face just seems to have lost a little elasticity, and is occasionally even flaky. So what’s different? I pondered for a little while and then it came to me: I was still using the same skincare regimen that I do in the summer! In the Winter, you need to change your regimen to account for all of the things that dry out your skin. Here are some basic tips on making your skin look fantastic in the Winter. Drink Water, Water and More Water. Did you notice that most people slack off on their water intake in the Winter? That’s because most experts preach about the benefits of water in the summer, but don’t mention it in the Winter. The truth is, Winter wind can evaporate moisture in your body…that’s why you get chapped lips the moment Winter turns the corner. Lack of moisture makes everything in your body drier and more brittle, so you need to make sure you get at least 8 glasses a day. Sugary and flavored drinks aren’t as good for you because your body can’t absorb them the way it can plain, old water. Even if you have oily skin, you need some sort of moisturizer in the Winter. Oily skin will need a light moisturizer that doesn’t clog pores. For dry or combination skin, you’ll need to step up the moisture, and you might even need a hydration additive for your moisturizer. That’s what I ended up needing. If you have acne, you’re probably using a multitude of oil-control products. In the Winter, you could start to feel dry and still have acne. If this is the case, you need to step down on the oil-control products, and step up on your daily exfoliation. You could also need to add a weekly (or bi-weekly) deep exfoliation. Did you know that once you see dry skin, that you will never be able to moisturize that skin again? 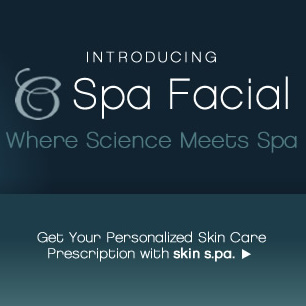 Basically, by the time skin cells reach the surface, they’re already dead. When the moisture is removed from those cells, there’s no way to permanently rehydrate them. What’s the answer? Get rid of them! Using a daily exfoliator will remove some of the dry flakes that are loose. But to really get rid of all of the dryness, you’ll have to step up to a deep exfoliator. And did you know that you should exfoliate your lips as well? This will help keep your lips soft and supple. Winter sun can be just as damaging as Summer sun. It’s the same sun! But in the Winter, we tend to think of it less because it’s not so warm. Sorry to be the bearer of bad news, but you really need to wear a sunblock, even when it’s cold or cloudy. Well, not exactly cold, that would be horrible in the Winter 😉 But make sure you’re not taking hot showers either. We tend to turn up the heat in the Winter, but hot water strips the skin of all of the essential oils, not just the dirt. So when you’re lathering up, make sure the temperature is not too hot. I’m not a “do as I say and not as I do” kind of gal, so I’ve been practicing these things for the last 2 days and have noticed a HUGE difference already! ← Is Your Nail Polish Safe?